Singapore is by far the smallest country and yet, the only first world country in South East Asia. Singapore is 716 square kilometres (276 square miles). What does that mean? It means Singapore is half the size of LA or and 2/3 the size of Hong Kong. Due to its small size, both Singapore and Hong Kong are often referred to city-states rather than country. It is known to many of us as one of the strongest economy countries in the world despite its mini size. Yes, size doesn’t matter (vs power) for Singapore! Singapore is not just the destination for work thanks to its strong economic base. 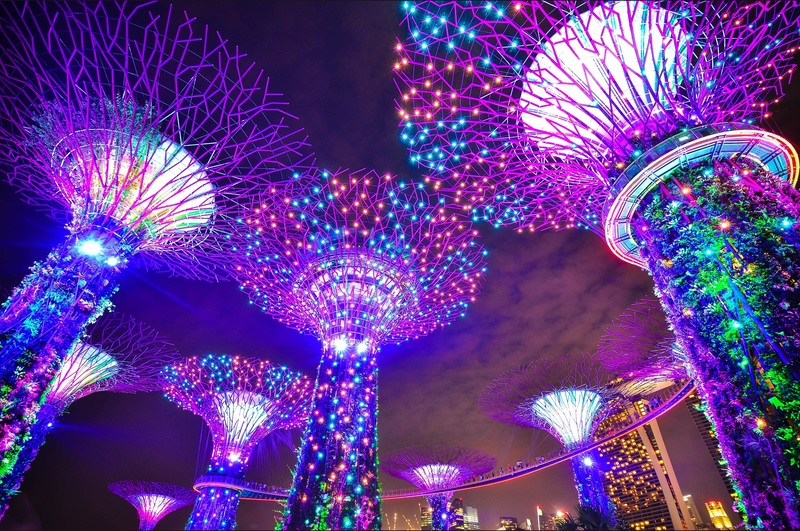 The tourism department of Singapore has put in an incredible amount of effort to make Singapore an international tourist destination. The colonial exterior of the National Museum of Singapore. Image from Wikimedia Common. To know more about this young nation, you will have to visit their national museum. It is the oldest museum in Singapore as it was opened in 1887 as the Stamford Library and Museum. Price for foreigners as per the official website. Map of Sentosa Island as per Google Map 2017. Far Far Away in USS. Image from Flickr. The beaches may not be comparable to Bali, Phuket or Rawa Island but it is still a great place to relax and watch the sunset. To fully enjoy this little island south of Singapore, it is best to be there from early in the morning until night to watch the water fountain performance at Wings of Time! Chinatown Singapore Buddha Tooth Relic Temple. Image from Maxpixel. Chinatown is located within the Outram district which is in the Central Area of Singapore. The area used to be mainly populated by the Chinese and was known as Niu Che Shui (牛车水 or “bullock cart water”). The name derives from the fact that the water supply used to be brought by bullock carts. Large sections of the area have been declared to be heritage sites. The buildings in Chinatown retains the old Victorian style with painted ladies as part of its architecture. Many of the buildings are also repainted in rainbow colours to add vibrancy to the area. Chinatown is suitable for visits in the day more than at night. 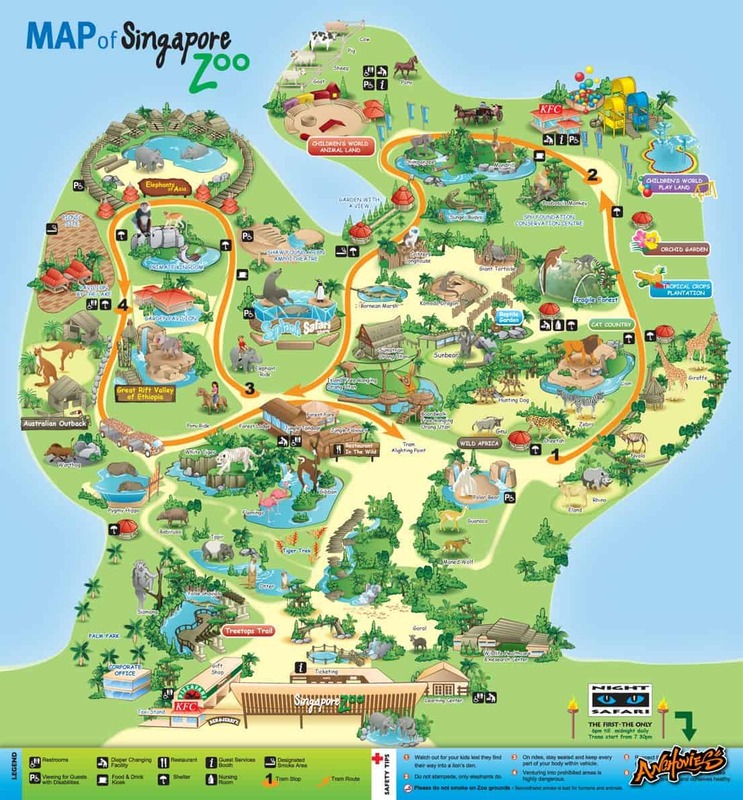 Map of Singapore Zoo. Image from Travel Hub. Singapore Zoo has been voted as the best zoo in Asia and Top 3 zoos in the world. If you are a conscious traveller and animal lover, Singapore Zoo will be one of the best places to visit. Instead of visiting the zoo ‘normally’, you can choose to go on the river cruise or at night for their night safari. However, each park shows you a different part of the zoo. It will be a totally different kind of experience. Pro tip: Save up to 50% by buying the 4 parks admission instead of 1 park! 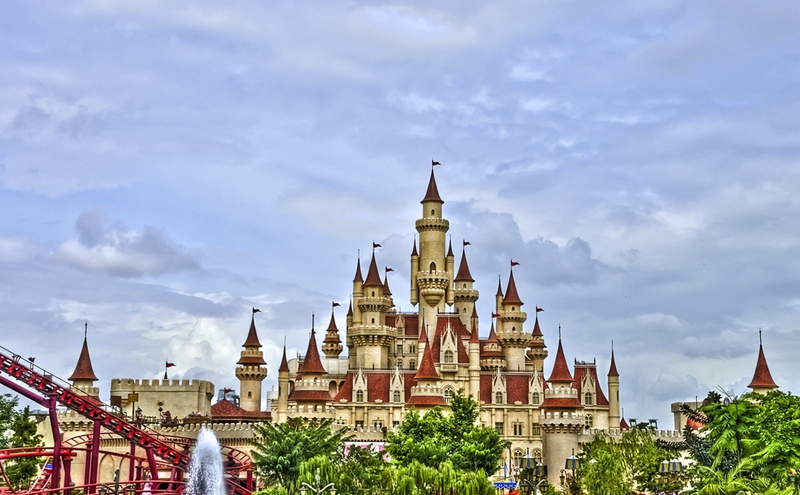 Parks include Jurong Bird Park, Singapore Zoo, River Cruise and Night Safari. Click here to book your tickets on the WRS official ticketing website as of Dec 24, 2017. This is by far the most baffling theme park I have been in Asia. It is possibly the creepiest theme park in Singapore itself. The park is filled with creepy and weird looking statues. It also depicts the 10 levels of Taoism/Buddhism Hell. The bizarre level is what makes it a popular tourist and local attraction. 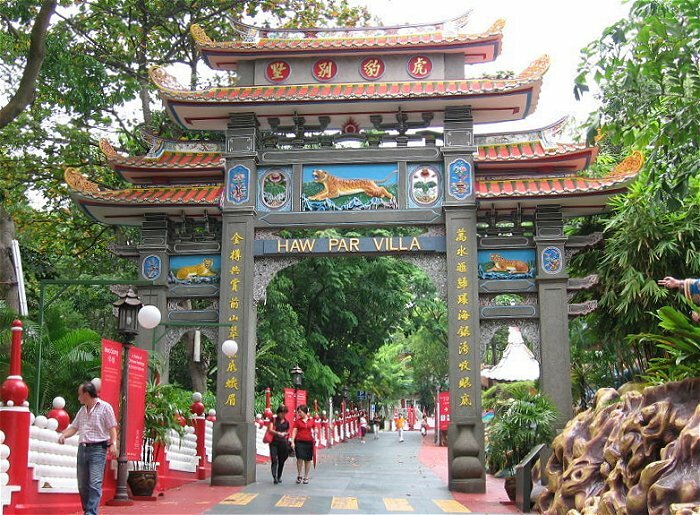 Haw Par Villa is also known as Tiger Balm Park. It is reachable by taking the SMRT directly to Haw Par Villa station. A statue of a lady breastfeeding her mother-in-law. Image from Flickr. The Christmas festivities start from November in Singapore. Image from Flickr. Orchard Road is the best place to be during festive seasons or The Great Singapore Year End Sale. Here you will experience the most wonderful time of spending money. Even if you are not keen on shopping, you should still take a walk on Orchard Road during Christmas season as the sidewalks will be fully decorated. 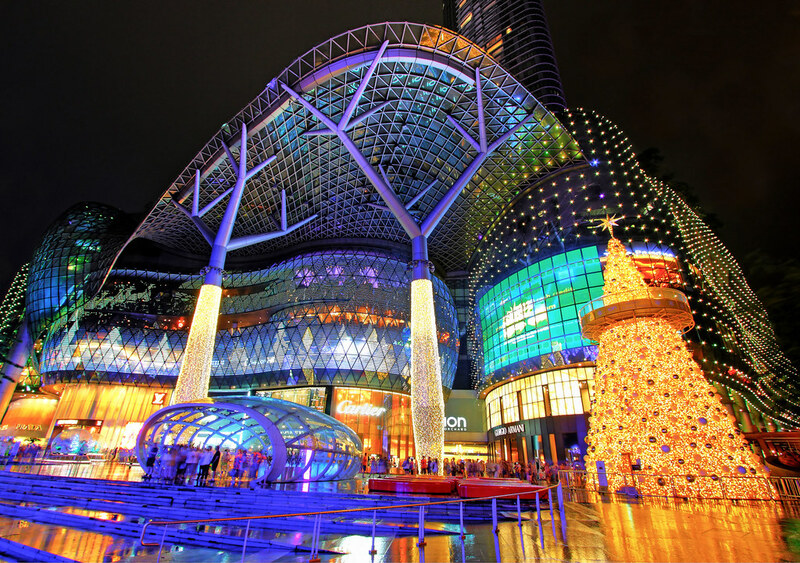 It is the best place to celebrate Christmas in Singapore. Having to say so, most of the shopping complexes here sell the same things. They also have an almost alike interior structure of how the shops are set up for. A snippet of VAT returns TnC from Orchard Road’s official website. Gardens by the bay in the day. Image from Flickr. Gardens By The Bay is one of the main efforts that the Singaporean government to make Singapore a green city. It is located in the Marina Bay area that is easily accessible by bus. The snippet of Gardens by The Bay website for ticketing. Gardens by the Bay night. Image from Pexels. As the name suggests, Clarke Quay is located by the Singapore riverside. It is well known for its riverside restaurants and nightlife. Drinking in Singapore itself is expensive but you can still visit the area just to enjoy the riverside. Clarke Quay has more than just food and drinks to offer its visitors such as G-Max Reverse Bungee ride. Click here to read on the top 10 things to do in Clarke Quay. Merlion Park is 5 minutes away from Marina Bay Sands, The Esplanade and Gardens By The Bay. Merlion is basically the mythical animal that Singapore is named after. Singapore is Singapura in the Malay language. “Singa” represents lion and “pura” means states or city. This is also why it is known as the Lion City. Needless to say, it is a must visit for anyone visiting Singapore. Take a stroll here as you head over to Gardens by the bay or Marina Bay Sands. P/S: There is a larger replica of the Merlion on Sentosa Island. The one in Sentosa Island houses the Merlion Museum. One of the best 360-degree views of Singapore. Image from Pixabay. One more way to splurge and pamper on yourself is to get on the Singapore Flyer. Did you know that Singapore houses Asia’s largest giant observation wheel? The Singapore Flyer stands tall at a stunning 165 meters from the ground! If you are wondering if there is anything else to do here, the answer is Yes. The Singapore flyer not just provides you with a stunning view of the city but also a range of high-end restaurants, shops and facilities. They have also recently added a new feature for you to enjoy before your flight which is called the Journey of Dreams. It can be a little pricey to get on the flyer itself (Click here for official prices). However, if you can afford it, it will be worth every penny you spend on it.